My daughter has multiple food allergies, including 5 of the "Top 8", but I often feel that her allergies beyond the "Top 8" are the hardest to manage, because we don't have the benefit of coverage under the FALCPA labeling laws. Having a child with a flax seed allergy (and other non-Top 8 allergies) means calling EVERY company, for EVERY new product we wish to try. I called a very large manufacturer, once, to ask about possible flax seed cross-contamination, and the representative didn't even know what a flax seed was and asked me, "is that like a sunflower seed?" So, the calls are not always as informative as I'd like, but most allergy-aware companies are able to provide me with the information I need. My favorite response is, "we don't use flax in our facility." Unfortunately, I don't hear that very often, as flax is a favorite additive for Omega-3s, egg substitution, etc. 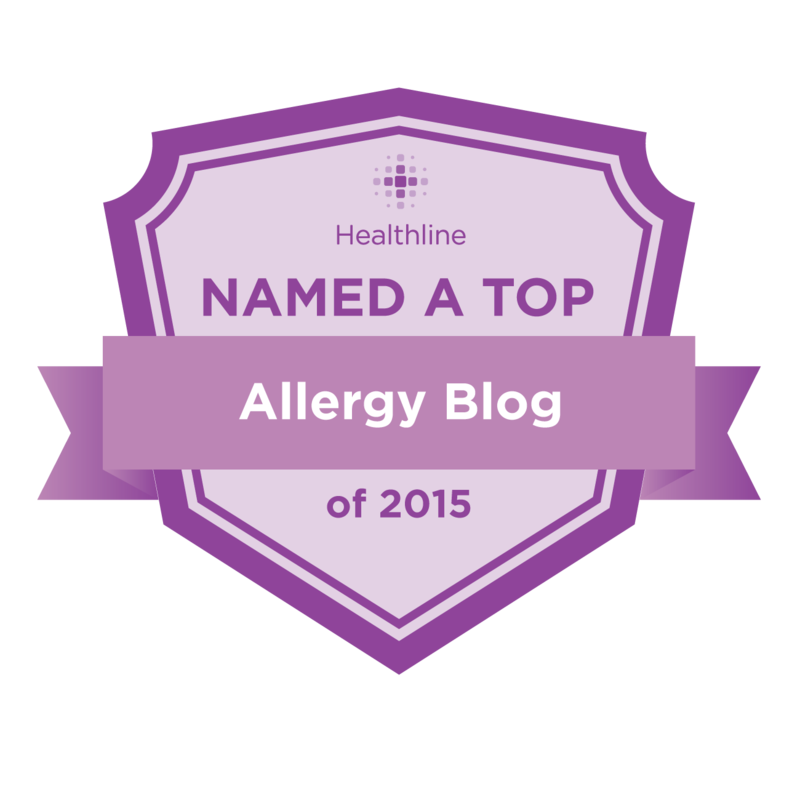 When researching flax seed allergies, I came across a phenomenal post by Allergy Foodie, where she compiled a great deal of information from her readers about the subject. Marmoleum linoleum flooring is composed of only 5 ingredients: linseed oil, pine rosin, wood flour, pigments and jute fibers. Each of these naturally occurring elements contribute to the unique durability and hygienic nature of Marmoleum. Linseed is extracted from flax seeds, which are in abundant supply, and contribute to the durable and anti-static properties of Marmoleum. Linseed oil is also used in the oil painting arena and those one whose allergic to flax seeds may not have a problem with linseed oil, I'd still rather not line my entire house with the stuff. Authentic Foods - They do not use flax seed in their facility, so all of their products should be flax-safe. Andean Dream - Not only are they flax-free, when I asked about milk, eggs, peanuts, tree nuts, wheat, flax seed, mustard, peas/pea flour, and sesame seed, they replied, "You can be assured that we do not use any of these ingredients in any of our products or anywhere in our factory. The only item we use that is considered a tree nut is coconut." Bisquick Gluten-Free Baking Mix - I finally received word from them that this product is not made on the same line with any products that contain flax. It took them a while, as it's not something they readily track in their system, but I appreciate them taking the time to track it down. Galaxy Nutritional Foods - Go Veggie! Dairy Free Cream Cheese - They have also confirmed for me that no flax products are processed on the same line as this product. Earth Balance Organic Whipped Buttery Spread - Several of the other Earth Balance spreads have flax in them, but the latest response from Earth Balance was, "There is no cross contamination with flax in Earth Balance Organic Whipped spread." (FYI: The ingredients on their website do NOT match up with what is on the actual product. There is no pea protein in the varieties that I get at my local Whole Foods. I don't know why they haven't updated their website, or if the product varies by region...) --I tried this with my daughter and it made her a little itchy/rashy. I cannot tell for certain if it was the olive oil, or possibly the annatto, which has been another suspect on my list. Dealing with a flax allergy can be very tricky, as they seem to want to add it to everything, these days, so we must be very careful and keep an eye out for it in all things, and not just food items. If you're dealing with a flax allergy and know if some flax-safe products that are also safe for those with multiple food allergies, I'd love to know about them! Please join our face book page if you are allergic to Flax Seed! Of all my uncommon food allergies (cilantro, peppers, blackberries, etc. ), the hardest one is flaxseed because it's a hidden ingredient in so many items these days--pizza, cooking oils, salad dressings, and even the croutons in salads and soups! Also, servers often have no idea what flaxseed even is, and will peer at your bread, and say, "Umm...I don't see any seeds." It's so hard to eat healthy when you are allergic to many healthy food items! Plus, I've landed in Intensive Care at the hospital three separate times (and been there for days, fighting for my life) because I ate something that contained flaxseed. I don't want to die, yet taking Gastrocrom is not an option, since it's so expensive. There are so many varieties and products and it can be confusing! Make sure to read the label, each time, as ingredients can change. You might also want to check with the company about which products might be made on the same line as flax-containing products. I am so sensitive to flax that I can't eat any food product that has cross contamination. A lot of commercial nut butters, salad dressings, sauces, gluten free baked good and baking mixes----these contain ingredients that were processed on the same equipment that also processed flax seed. So if a food processing plan has equipment that grinds flax seed into flax meal or flax oil and then later uses the same equipment for sunflower seeds, nuts, soy beans or etc.---you get cross contamination in the food. Also, farm raised shrimp and fish may be fed flax meal as part of the commercial feeding process. The same is true for chicken and beef. I bought some beef labeled "grass fed" at a Sprout's Market and became quite reactive because the cattle had been fed flax as well as grass/pasture. There is only one this world that causes me to break out in large, itchy, painful lumps on my feet, legs, hands while making me drowsy: and that's flax. in time. Even inhaling flax seed particulates triggers wheezing and more. Now it's in everything. causes allergic reaction. Food manufacturers have no idea what flaxseed is doing to people.